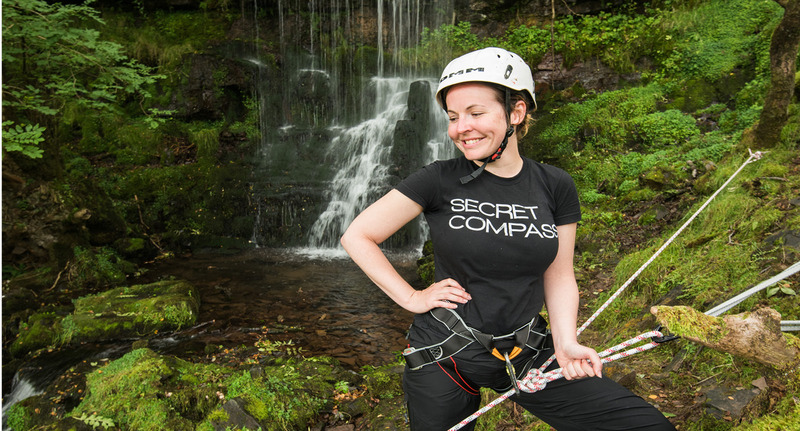 An weekend in Wales might sound like a walk in the park compared to many Secret Compass expeditions. 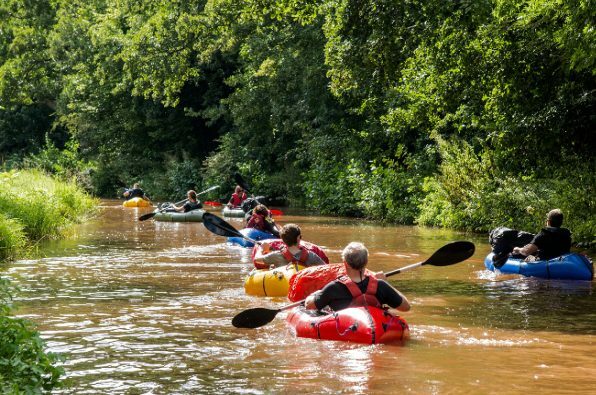 However, as teammate Rhiannon explains, the UK Adventure Weekends are more than ‘just’ a weekend, whether you’re an expedition veteran such as herself or a newcomer to the world of adventure. What’s your name and where’d you come from? I’m Rhiannon from Sydney, Australia (as opposed to the four other countries with a city named Sydney – fun fact!). Although I have been travelling for many years, I think of myself as a newcomer to trekking. I completed my first trek four years ago in Papua New Guinea and have been hooked ever since, completing one or two every year. Now, I’m generally a morning person so the somewhat early wake up calls were nice. With a 7am wake up call, stretch, yawn and crawl to the camp fire we got the first pot of water boiled. From this point, with some breakfast and tea and coffee under our belts (or some concoction involving instant coffee, instant milk and hot chocolate – you know who you are! ), we packed up our sleeping gear, packs and filled up our water for 8am starts. Each day brought something entirely different on this expedition. 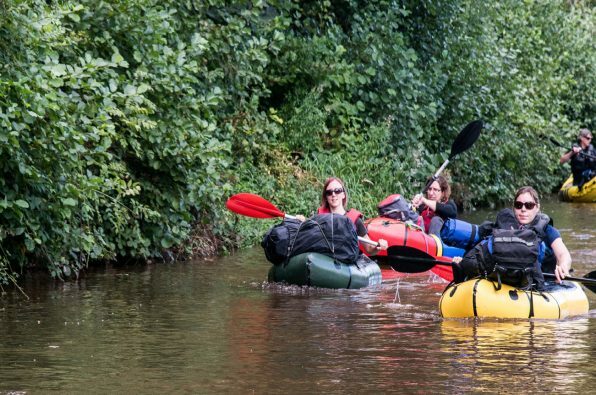 We either had canals to paddle down in our one-person packrafts, forests to trek through, hills to climb (and I had no idea Wales had such steep hills! 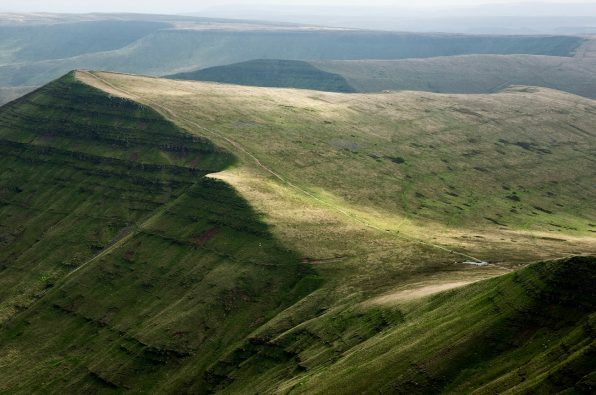 ), mountains to summit and waterfalls to abseil down. No day was alike. We set out at a good pace on both days. At the end of the day, the slower you are, the later you get to camp. There were times on both days where I think we were getting behind ‘schedule’ and that meant the breaks were a little bit shorter and the pace needed to be picked up. No one wants to be setting up their sleeping gear in the dark. On a Secret Compass UK expedition weekend, there are plenty of stops to rest or to keep your sugar and energy levels high, however, you don’t need to rely just on these stops to eat. If I was hungry, I would be sure something was easy to get my hands on. There were plenty of jealous eyes as I pulled out a protein bar from my pocket while we were rafting down the canal, little tricks learned in Kamchatka. I recommend that you have your Camelback or water bladder filled up so that you don’t need to stop for a drink of water every two minutes, too. Some of the hill climbs were harder than others and for those that were a little less prepared, there were more stops. These expedition weekends can be done by people at most fitness levels, you don’t need to be super human. You obviously need a base level of fitness though and the fitter and the more prepared you are, the easier and more enjoyable you’ll find it. The Secret Compass site’s Get Ready section has a tab on Fitness with links to trek training advice which I found really useful and you will too if you’ve not done much of this type of thing before. The call of nature was answered as it should be, in the great outdoors. So yes, you will be digging your own loo. Something to get used to for many but, in my experience, this solution is far better than many public toilets I’ve come across! On the plus side, outdoor toilets generally come with a much better view. Everyone’s in the same boat at the end of the day, no-one wants to watch you sneak off any more than they would want that to happen to them, so just relax on the loo front and don’t let it bother you, it’s amazing how quickly it becomes normal. A typical lunch on a Secret Compass expedition weekend will give you the energy you need to finish the rest of the day. We enjoyed wraps, cheeses (for those that ate dairy), hummus (for those that didn’t), dried fruit and nuts and muesli or energy bars. We also got to try out the type of food that you’d eat if you were on a full Secret Compass expedition, i.e. dehydrated ration packs. These are actually much tastier than they sound with varieties from spaghetti bolognese and Thai green chicken curry to vegetarian noodles and beef hot pot. I think we fell a bit behind on both trekking days so we had to make up a bit of time in the afternoons. Our expedition leader Paul stopped the team at points when we needed to catch our breath or to have a snack. These stops were generally after we had just climbed up or down something steep or when there was a waterfall to abseil down. Setting short goals between stops (get to that peak, get over that ridge, reach the water) are quite motivational and we quickly learned that it helps progress to stick to this as a group rather than for everyone to stop whenever one teammate wanted to stop. You bond, you quickly ‘get it’, it works. It’s great! A Secret Compass expedition is a team effort. Everyone helps each other out whether it’s getting a pot of water boiled, helping someone up a steep incline or helping that person that didn’t bring toilet paper. Our expedition leader Paul Taylor was a wealth of knowledge and could help us with our gear, the terrain and talk us through the areas we were hiking through. He’d previously led expeditions to myriad places including Gabon and Sierra Leone with Secret Compass and had amazing stories to tell! Made me want to go on all of those other expeditions, too! Once you reach camp in the evening, a priority is getting your sleeping gear up and ready for use. We slept in Hennessy hammocks. I’d never heard of these before, and when I had read that we would be sleeping in hammocks… well, I had imagined something slightly more ropey and Rastafarian than the Hennessy hammock. I’m so glad I was wrong. These hammocks are more like a one-man tent that you string up between trees, they keep the rain and bugs out and are extremely comfortable – in fact, I bought one when I got back home. With all the sleeping gear up and ready to go, it was time to get the water boiling for tea, coffee and dinner. Dinner was dehydrated camping meals and as someone who doesn’t eat meat or dairy, I was pleasantly surprised with the variety, quality and taste of these meals. I loved sleeping in that hammock, it was brilliant. Outside the hammock I could see the stars and listen to the musical farts of all my teammates – In fact I slept like a baby. It was only the rather large spider on the inside of my hammock that ensured I got up and out of the hammock at record speed. Other than the man-eating spider, the hammock felt very secure. My sleeping bag kept me warm and my sleeping mat gave the hammock some much needed structure, warmth and was a very handy wind break too. Not that kind of wind. Fitness for a trek is kind of subjective, so much of it is about mental strength and attitude, too. The fitter you are the more you will enjoy any trek. For Wales, even though it was ‘just’ a weekend, a good degree of fitness was still very important. 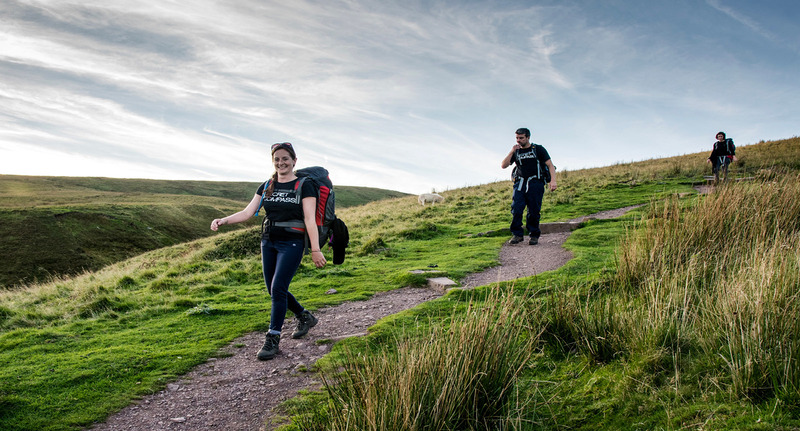 Good to Very Good cardio fitness, endurance and strength to climb up those hills with your pack on will ensure you will enjoy your trek that much more. Rule of thumb is if you can run 5km comfortably and squat your weight you should be fine. I actually can’t do either of those things but I’m told they are a good measure of fitness! (I had just completed the Secret Compass Kamchatka trek so I think I had a bit of an advantage in the training department). Many people on our team weren’t necessarily runners or anything like that, they were just quite fit and active people seeking a challenge. None were of the couch potato variety, that level of inactivity would have made these weekends difficult so if that’s you: get in shape a bit first! Top kit tip right here: have amazing sleeping gear! You will NEVER be disappointed! Invest in a super warm sleeping bag (if you don’t already have one) and take a sleeping mat. I can’t stress the sleeping mat enough; a few people went without their sleeping mat to save on weight and space and they regretted it; see above my reason for sleeping so well. The Secret Compass team put a lot of information into the Expedition Handbook (or the Travel Instructions PDF). Read this thoroughly! The gear list is a wealth of information and the team absolutely know what they are talking about. I can’t stress enough to follow the gear list. There were a couple of people that didn’t have the best time because of the gear they chose to take and didn’t take (they didn’t follow the gear list). Be open minded and armed with your sense of humour – it’s an expedition, anything can and will happen (like being chased down a hill by a very angry sheep or stepping into a deep hole filled with sheep poo…. Yes, both things happened to me and no there aren’t any photos). The highlight of this expedition for me, aside from it being in Wales, was our expedition leader Paul Taylor and indeed the whole team. I’ve walked away with future travel partners and travel plans (I’ll be joining Paul on his Gabon expedition with Secret Compass next year, for example). How much Secret Compass can pack into one weekend! I wouldn’t have seen as much of Wales as I did in this weekend any other way. 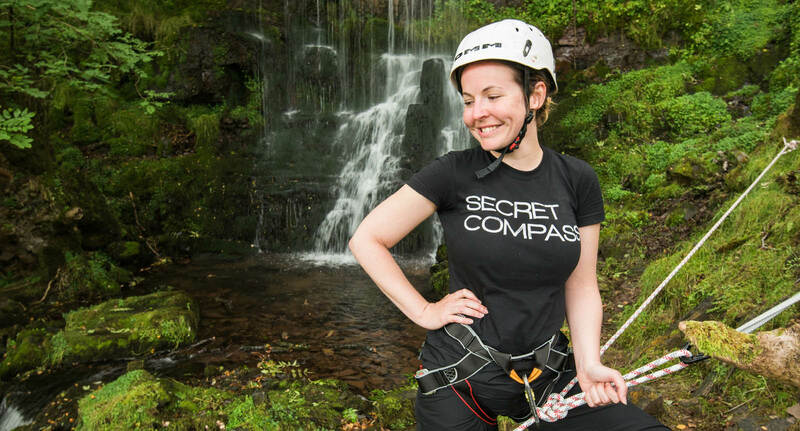 I recommend you book a weekend with Secret Compass now or perhaps look at one of their Adventure Academy expeditions, where you do an awesome thing while learning really useful skills. Alpine skills in Georgia, expedition and hill skills in Iceland, whitewater rafting skills in Papua New Guinea, that type of thing. Epic expeditionary settings in which fit people with little experience can really get onto the adventure ladder! Everything I’ve heard about Wales is true. It is a mighty beautiful country to see, the people are lovely, the countryside is so green and frankly, there’s no better way to see a country than on foot (I’m Australian, for anyone who missed that at the beginning). Written by Rhiannon Foster (@Secret_compass).